After latest’s post, there was a bit of confusion about how the yard is shaped. I totally get it — it’s a skinny, oddly shaped space. Basically, the yard is an L shape. So with the help of Ashley from The Gold Hive, I learned how to use HomeStyler to mock up our space to give you a better idea of the backyard. Homestyler is a littttle difficult to use for an outdoor space because it’s meant to use for indoors only, but I made do. For example, I grouped together a few of the houseplants to represent trees. This tool has been especially helpful in calculating how much material we need for the pavers, too. 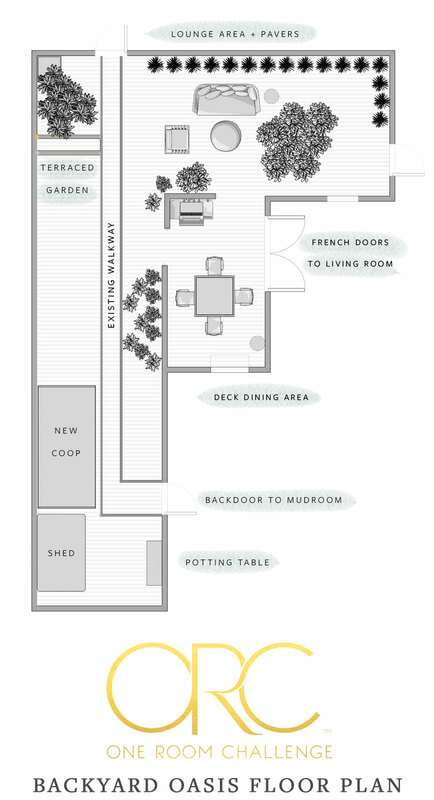 Now you can see where I’m planning to put our fire pit lounge area, deck dining area, new chicken coop, and garden beds. 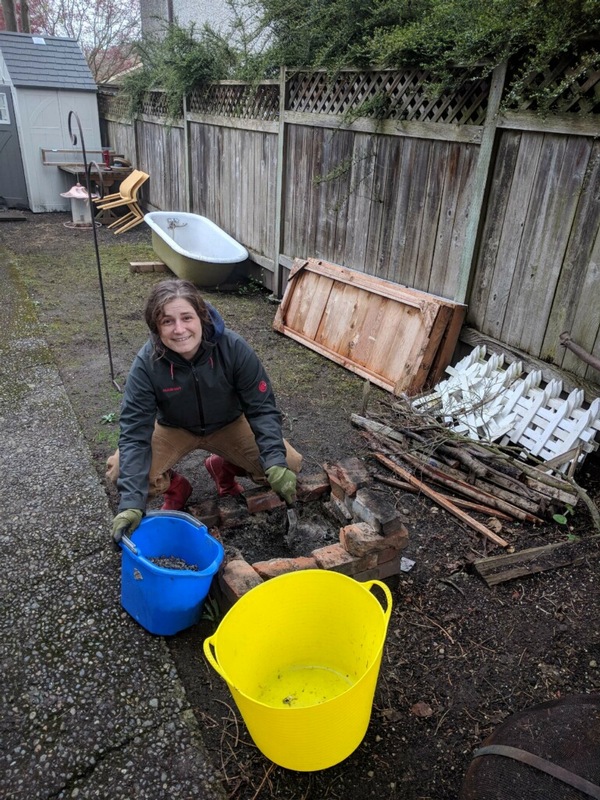 We spent all weekend demo-ing the backyard and making two trips to the transfer station. 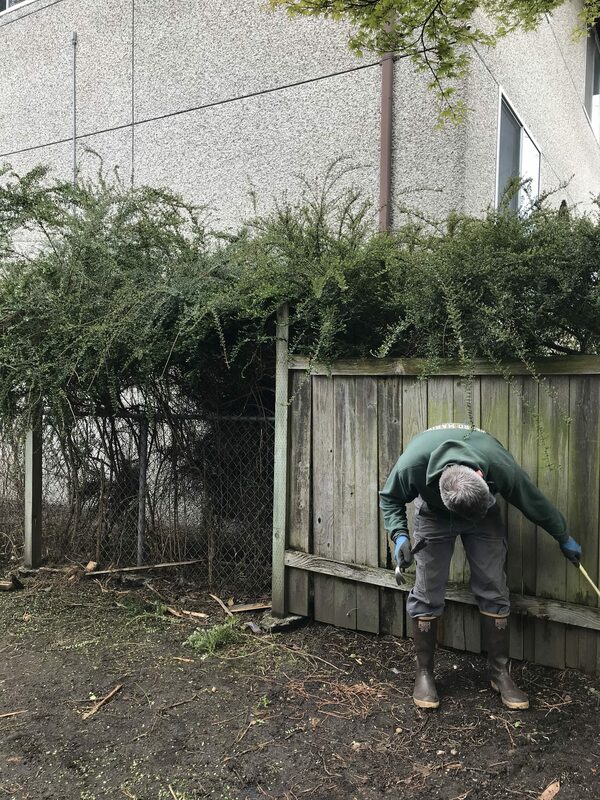 Upon removing the rotten fence boards, we realized that there is a second chain link fence behind it, so we need to deal with that, too. 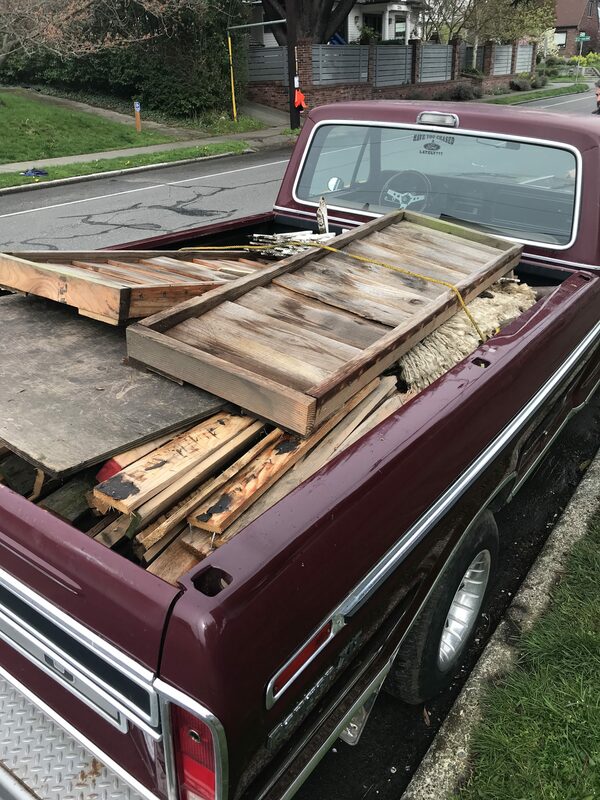 Yet another reason why my house is so weird and I’m SO curious about all the previous owners… like why would you keep an old fence when you’re putting up a new one?? 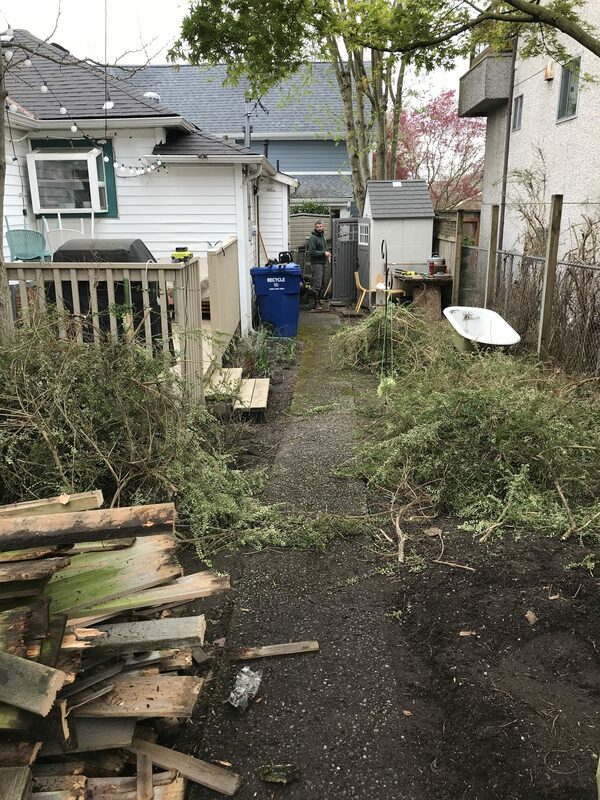 Also, once the fence came down, the neighbor’s overgrown bushes literally drooped over on top of us and wouldn’t go back into their yard… so we gave those a trim, too. Legally, I’m allowed to trim anything that falls into my yard, so I just hope the landlord doesn’t get too mad because we had to trim away a significant portion (I’m not mad about it one bit though! Goodbye, eyesore). In the mean time, I’ve been trying to decide on a color for our fence. After partnering with Sherwin-Williams on other parts of the house, I am partial to their paints and have decided to give their outdoor stains a try. The key is to pick one! I’ve gathered a few options and now have to decide between a semi-transparent stain or a solid stain. Stay tuned for more on that! 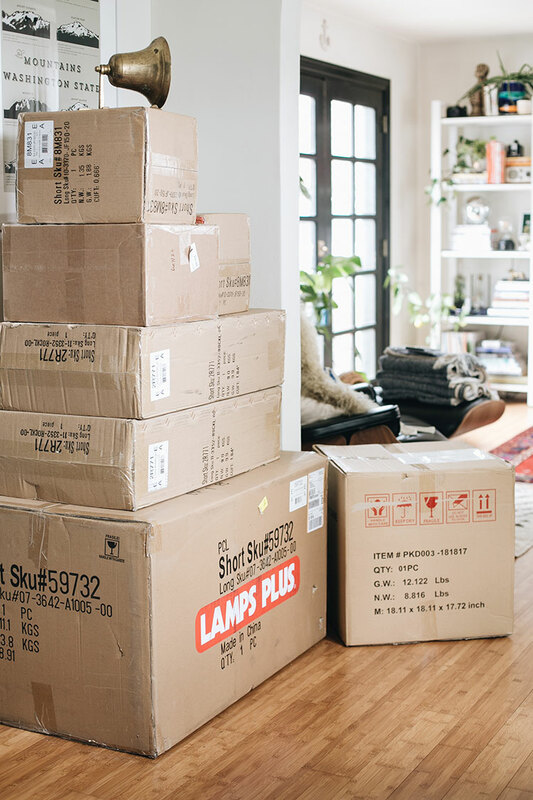 Products from more sponsors has been arriving, too (especially from ORC sponsor Lamps Plus)! A lot of the pieces are for finishing touches like landscaping and lighting, so everything is staying safely packed away until the yard is a bit more settled. I’d be so upset if my light fixtures broke! 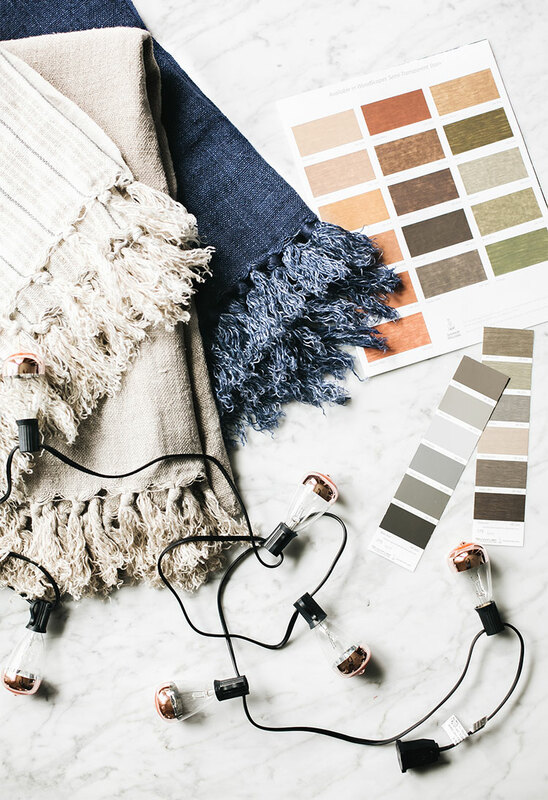 You can see a bit of a peek in the image at the top of the post including the Newport Throw and navy and natural Montauk Throws from Pom Pom at Home and the copper LED string lights from Bellacor. I am already loving how luxe it feels! So that’s all the progress from Week 2 and, in case you missed it, you can catch Week 1 here.